Escape to relaxation with this effortless, personal sauna. 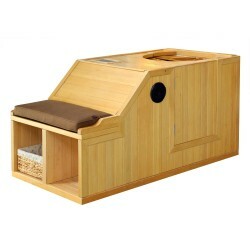 Sturdy and dependable, the Serenity Half Sauna features tongue-and-groove joinery and warp-resistant, Canadian hemlock construction.FREE Fast Shipping! Flash Sale – Limited Quantity Available This Price! The Buena Vista 1-Person Infrared Sauna is perfect for relaxing and rejuvenating and will fit in virtually any room in the house. The natural Hemlock wood color will enhance any decor. The Buena Vista 1-2 Person Infrared Sauna is perfect for relaxing and rejuvenating and will fit in virtually any room in the house. The natural Hemlock wood color will enhance any decor. Flash Sale – Limited Quantity Available This Price! Flash Sale – Limited Quantity Available This Price! The Coronado 2 Person Infrared Sauna is perfect for relaxing and rejuvenating and will fit in virtually any room in the house. The natural Hemlock wood color will enhance any decor. 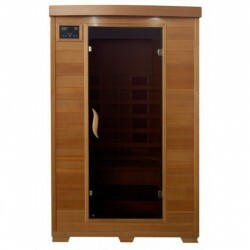 The Monticello 4 Person Infrared Sauna is perfect for relaxing and rejuvenating. With it's two stagecoach style benches, there's enough room for the whole family to enjoy sauna time together! The natural Hemlock wood color will enhance any decor. Flash Sale – Limited Quantity Available This Price! Flash Sale – Limited Quantity Available This Price! 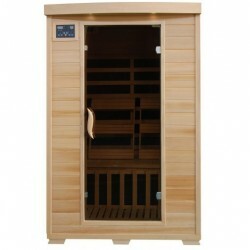 Start Reaping The Benefits Of An At Home Sauna Today – Look Better, Feel Better, Live Better! 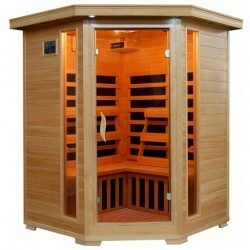 The Tucson 4 Person Corner Infrared Sauna is perfect for relaxing and rejuvenating. It fits conveniently into the corner of the room, and the natural Hemlock wood color will enhance any decor. Flash Sale – Limited Quantity Available This Price!